Come join us for GUARANTEED bay fishing on the Texas Coast with Port Aransas Fishing Guide and Rockport Fishing Guide George Rose. 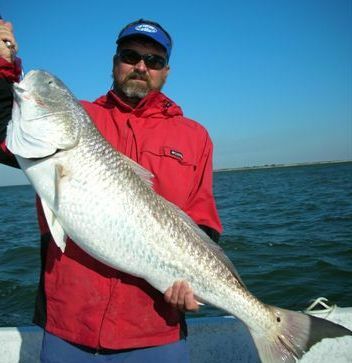 Fishing Rockport, fishing Port Aransas and fishing Corpus Christi bays provide you with a great opportunity to catchTrout, Redfish, Black Drum and Flounder. NO TRICKS! 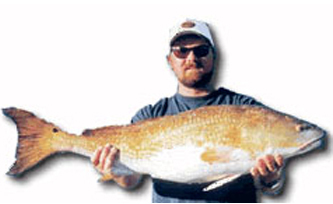 We will catch KEEPER Trout, Redfish, Flounder, or Black Drum or your day is FREE! for your port aransas fishing guide or rockport fishing guide? I am a graduate of Texas A&M University at College Station. I have two children, a girl age 21 who is a Senior at Texas A&M and a boy age 16 who’s a Junior at Rockport/Fulton High School. Families are welcome on all my trips. My family has owned homes in Rockport or Port Aransas since 1976. I am a Full-Time fishing and hunting guide. I do nothing but fish and hunt for a living. I’m not fishing to make extra income or have another job and fish part-time to make extra money. I have two boats. A 24′ Kenner for bayfishing and a 20′ Panther Lightening airboat for shallow water redfishing and airboat rides. If the wind starts blowing and we can’t go bayfishing, I can pull out the airboat and catch you limits of redfish while sitting in 6″ of calm water. You don’t lose a fishing day because it’s windy. My customers have fun and CATCH FISH. I have to put my customers on fish or I don’t get paid. In addition to catching fish, I treat my customers in a professional manner. NEVER pay a guide to get angry at you because you miss a fish. If we get our limit of one species very quickly, I will try to find you other fish to catch. I do not return to the dock after limits of one fish are caught if we can find other fish to catch. You may return to the dock anytime you like if you are ready to call it a day. I am sponsored by Mercury Saltwater Pro Team, Kenner Boats Pro Team, Penn, Berkley, and Columbia Sportswear.